Some apps enter the Play Store that leave me scratching my head wondering why someone would take the time to develop them. 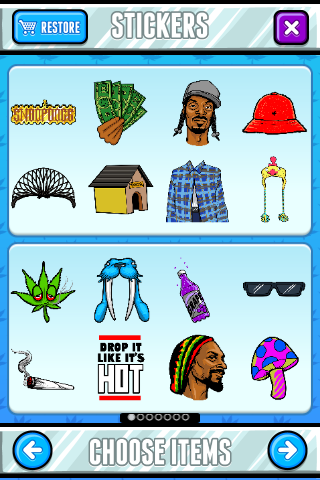 Snoop Lion's Snoopify is not one of those apps. This "photography" app fulfills a real societal need. 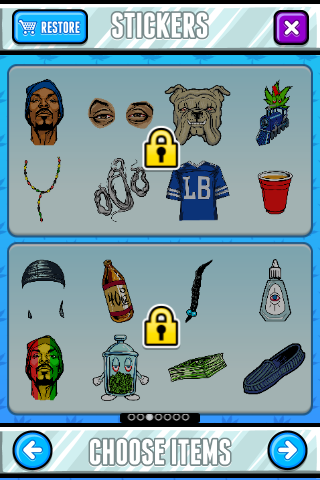 Finally, I can be as cool as Snoop Dogg - erm - Lion. But that's just the beginning. My friends, family members, co-workers, and anyone else I've ever taken a picture of can now be as cool as Snoop Lion, too. The concept behind Snoopify isn't too difficult to grasp. 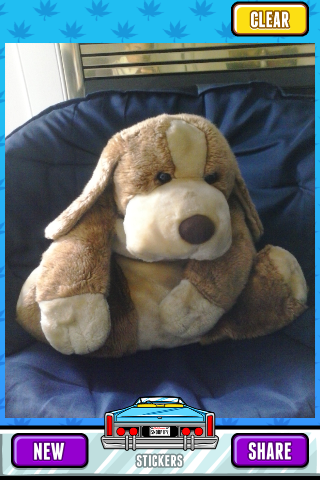 It's a photography app that allows you to take a photo and apply some edits. 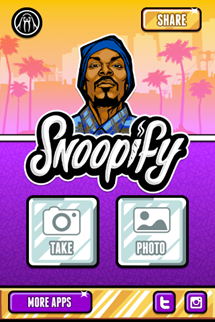 It would be a stretch to call Snoopify a photo editor, as you won't be applying touch-ups or slapping on filters. 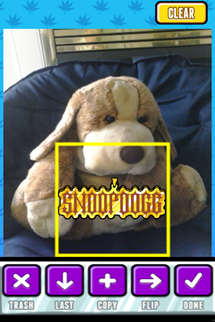 Instead you pick from a selection of Snoop-themed stickers to apply to your picture. That's it. 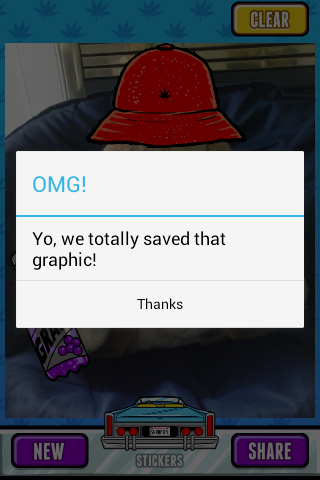 Snoopify needs no tutorial. 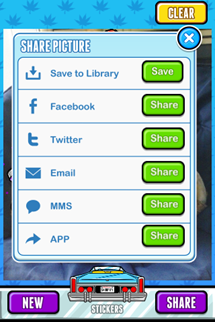 When you first open the app, you're thrown into a title screen with just two options. You can take a picture from scratch or load one up from your gallery. I wanted to put the app through its paces and opted to take a photo from scratch. Since I didn't want to put the app under too much strain, I took a picture of a family friend who was already pretty cool. 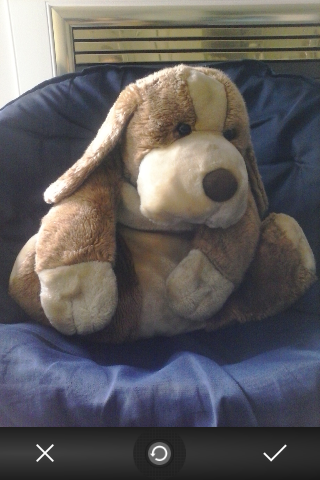 My wife's stuffed dog really knew how to rock my old college sphere chair. Yet while he looked Dogg-enough, he didn't quite look Snoop-enough. I popped open the trunk of stickers to see what options were available, but apparently most of the stickers have to be purchased. The app may be free, but you will have to put down some dough if you want to get the complete Snoopify experience. 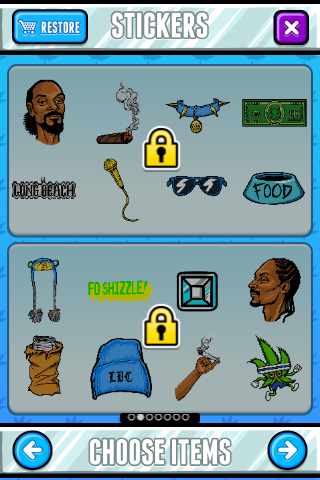 In-app purchases are currently disabled due to technical issues, but I imagine dressing like Snoop Lion can't be cheap. Applying the stickers to my picture was a surprisingly engaging experience. Okay, engaging might not be the right word. But the experience was very functional, and I can't put forward any complaints. As cool as Mr. Snuffles was, he's definitely cooler now. I'm a millennial with a smartphone, so there was no way I could allow this much awesomeness to sit idly within the Snoopify app. I clicked the share button and found that I could share my photo via Facebook, Twitter, email, and SMS. Not only that, the app then confirmed my decision by talking to me using the hip lingo we millennials love so much. It couldn't be better unless a voice-over of Snoop Lion chimed in with him reading me the words himself (it didn't). I'm actually not sure who Snoopify is intended for. Between the bright colors, simplistic premise, and painfully hip language, the app is clearly geared toward a younger audience. 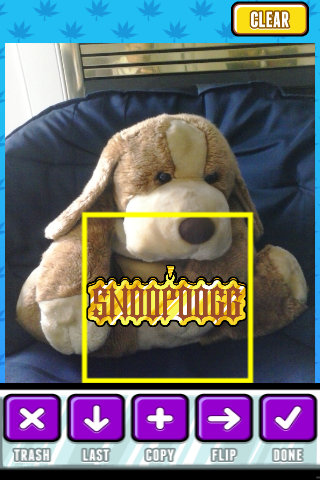 Snoop Lion is a legend, but he peaked perhaps shortly after anyone young enough to enjoy this app was born. It also strikes me as somewhat wrong to use someone whose language and content is so adult to push an app that is quite the opposite. 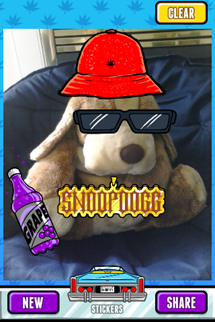 Snoopify is good for quick a laugh, but is that enough?